Cover art for today’s Wonder Woman #50. Another Marvel writer is teaming up with DC Comics to write one of their biggest heroes: G. Willow Wilson, who has spent the last few years shepherding the adventures of Kamala Khan for Marvel, has just been announced as the new writer of DC’s ongoing Wonder Woman series. Revealed on DC All Access today, Wilson will be joined by artist Cary Nord on the series this November. Wilson and Nord’s first storyline, “The Just War,” sees Diana thrust into a conflict in Eastern Europe where Steve Trevor has been caught in the crossfire, only to find that Ares, the God of War, is lurking behind the scenes. But with Ares acting peculiar, Diana finds herself pondering just what’s become of her home if the God of War has returned to Earth. 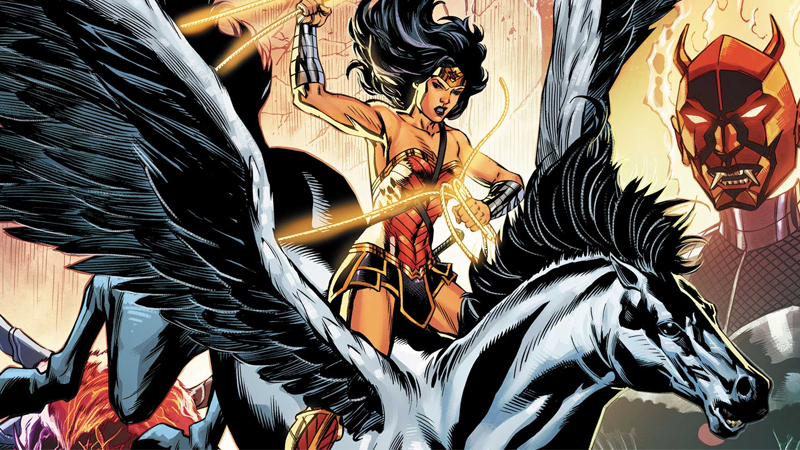 Wilson and Nord’s run on Wonder Woman begins November 14 with Wonder Woman #58.